Last week we recognized Holocaust Memorial Day (January 27) at my school, the International School of Belgrade. The Israeli Ambassador to Serbia, Arthur Koll spoke to the student body about the Holocaust and mentioned the atrocities that occurred here in Belgrade. He refered to the first systematic use of a “gas van” to kill the Jews of Belgrade. I did a bit research and found a website put together by UK professor Jovan Byford and funded by the British Academy. Professor Byford, with the help of Serbian researchers, has put together an informative web site about the Nazi concentration camp in Belgrade. 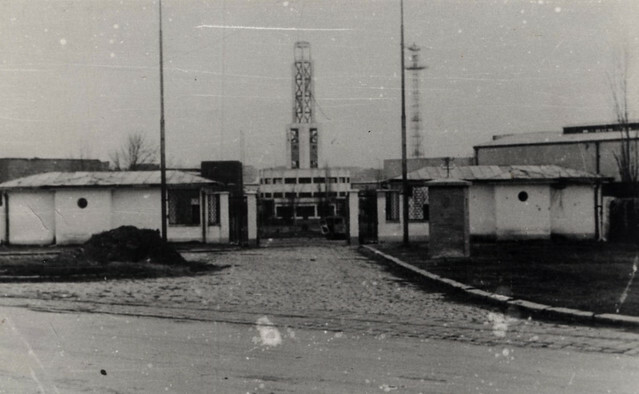 The camp, called Semlin Judenlager (German for Zemun Camp for Jews), is located in New Belgrade, right on the banks of the Sava River. In the 1930’s, the Belgrade government drained a swampy area on the other side of the Sava, and established a fair and exhibition grounds. It was a popular place for theater, cinema, etc. and one of the first areas developed on the north side of the river. Today, much of New Belgrade, as the north side is referred to, is developed out to the airport, several kilometers away from the river. The Nazis took over Yugoslavia in 1941 and occupied the city. Semlin was technically in the part of Yugoslavia administered by the fascist Croatian movement, the Ustase. Belgrade itself was officially in German-occupied Serbia. The fairgrounds were used to round-up all of the Jewish people of the city (around 15,000) as part of the genocide campaign of the Nazis. It was supposed to be a temporary camp, but when a permanent facility couldn’t be found, it became one. 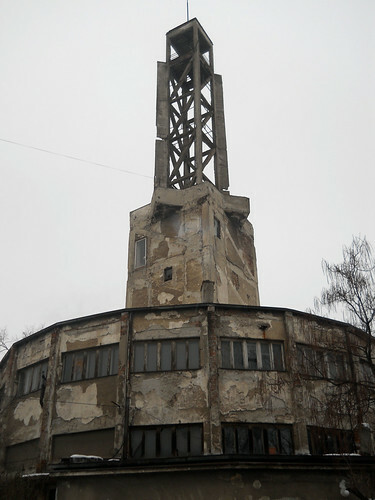 It differed from the more famous concentration camps like Auschwitz, in that it was very close to the city. A photo of the camp in 1941 is below. Yesterday, I stopped at the site and photographed the original tower as it looks today (above). The camp is significant in that it marks an escalation of the systematic elimination of the Jewish people in Europe. Ustase officials were proud to report to Hitler that Serbia was the first area to be “Jewish-Free” in WW II. Today I am not aware of a Jewish community in Belgrade. After the elimination of the Jews, the camp also processed Partisan and Chetnik prisoners, Communist sympathizers, political opponents, Romas, etc. Most were used as force labor and many died in the camp because of inhumane conditions and disease. The camp was kept open for several years, eventually being the target of Allied bombing in 1944 during the liberation of the city. It is sad that it is not a protected landmark. Thousands of people perished at the site and the camp is a very important part of World War II history. I was surprised to see people living in the tower. It has been converted to apartments. The other former pavilions are also now apartment buildings. I wonder if the people living in them know about the atrocities and terror that occurred here. I recommend the web site about the camp. It is gripping reading, especially the letters from a Serbian-Jewish nurse who perished in the camp. There are a couple of monuments in the area, which I visited when we held an art exhibition in a hall near former fairgrounds. If I had the resources, I would buy out the current tenants and restore the grounds to its original state and make a museum and educational center. Serbia and the rest of the Balkans would benefit from the tourist attraction in addition to being a center of tolerance, which will always be needed in the ex-Yugoslavia. I can’t imagine the horror that took place here. Entire families murdered. Tragic. There are several other Holocaust sites in Serbia that I plan to visit before I leave the country. 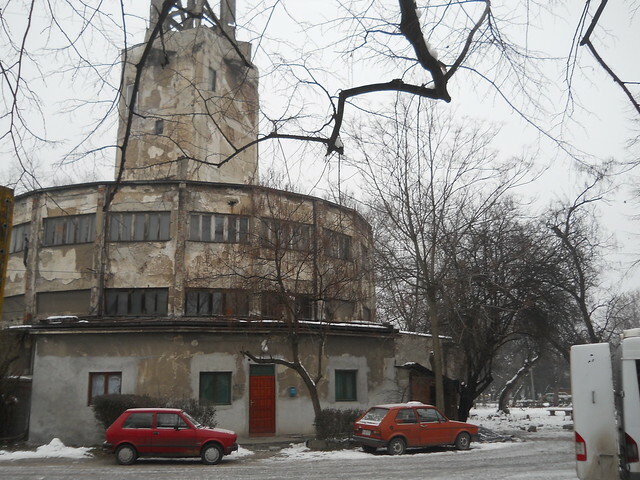 There is an excellent museum in Banjica about the prisoner camp there. I am glad to hear that someone is writing a history of the camp. There needs to be more resources in English about the holocaust in Belgrade. The Israeli Ambassador’s speech at our school really made me realize the historic and moral importance of the camp. I also hope a group finds the financing to restore and make the camp into a museum or educational center. Good luck with the book. different groups….all Serbs,Roma and Jews suffered terribly in those camps….and lots of Serbian citizens saved many Jewish families ….. The post generated many comments and views. It reaffirms my belief that the site should be purchased by the government and turned into a memorial museum and educational center for the Holocaust and World War II.